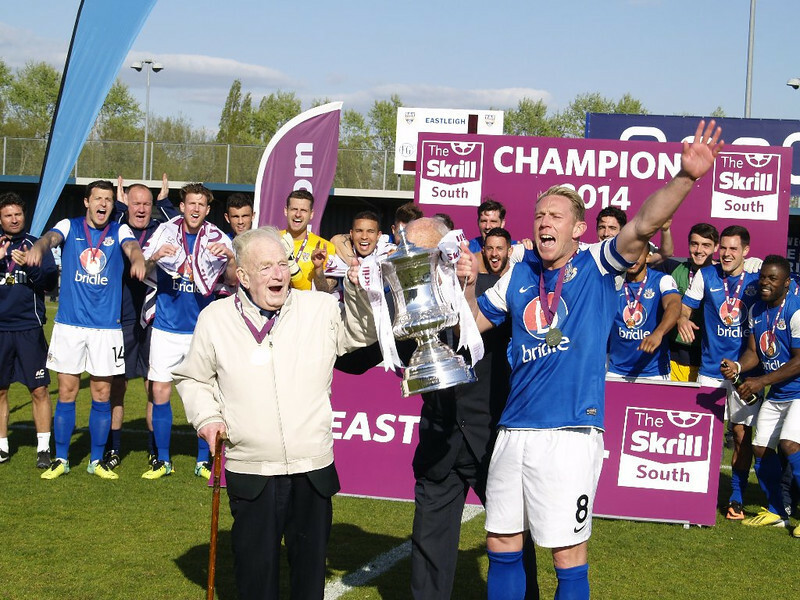 Eastleigh’s captain Glen Southam has left the club after two seasons at the club. The former Daggenham & Redbridge midfielder made over 90 appearances for the Spitfires, scoring 11 goals. Southam,who recently turned 34, was named man-of-the-match when Eastleigh were crowned champions in April after a 2-1 win against Basingstoke Town. A club statement on the official website highlighted that Richard Hill’s men were ‘extremely disappointed’ with the exit and dubbed the former Dover Athletic man as an ‘inspirational skipper’. ‘I am very close to Glen, who has become not just the clubs captain but also a good friend. ‘He leaves the club with my best wishes for the future and thanks for everything he has contributed. ‘He has played a huge part in our recent success and I will always be extremely grateful for the way he lead by example and set the right standards. Fans and players have already reacted to the news on Twitter. Winger Stuart Fleetwood wishes Southam all the best in the future. Southam thanks fans for their messages. Midfielder Jai Reason thanks Southam for his time at the club.